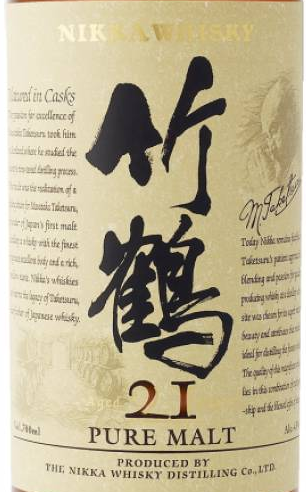 The Nikka Taketsuru 21 years old is a vatted malt that most likely consists of Yoichi and Miyagikyo single malt. It comes bottled at 43% vol. and is relatively affordable for a Japanese 21 year old whisky. Comment: Quite good at a reasonable price, but not as delicate and refined as the comparable Hibiki 21. The nose is very good.